Rest assured in knowing that all of our street newspaper proceeds are reinvested into helping the homeless. Give back by signing up for a monthly subscription to The Homeless Voice Street Newspaper. Advertise with The Homeless Voice Street Newspaper. With over 100,000 copies now in circulation! Browse our Homeless Voice Street Newspapers Archive to find past issues of The Homeless Voice Newspaper. Choose home or digital delivery. Sign up for a The Homeless Voice Newspaper monthly subscription! This is the latest issue of Homeless Voice Street Newspaper. You can find past issues by visiting our Street Newspapers Archive. This issue of the Homeless Voice featured a fresh design. Our new layout spearheaded by Andrew Fraieli stands out and will hopefully inspire our supporters to continue educating and advocating for the homeless. 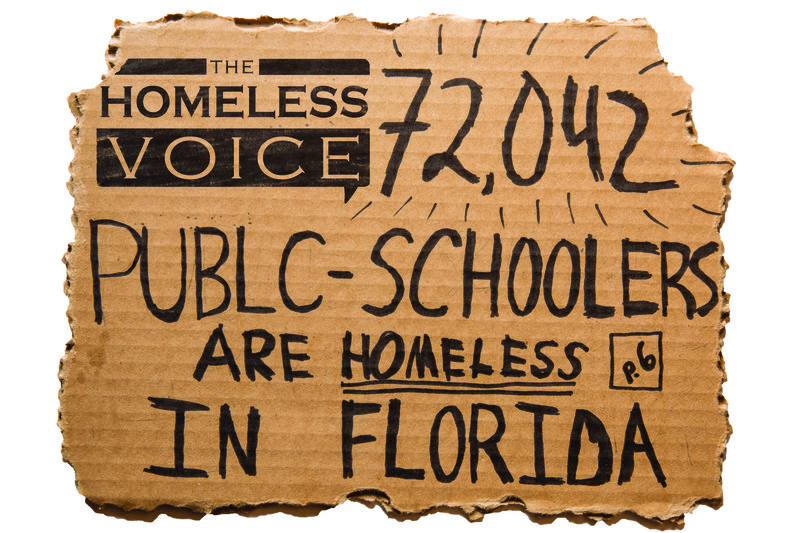 Homelessness among students continues to be a nationwide crisis, with Florida populations on the rise. Florida Ranks 4th in total Population of Homeless Students delves deeper into the struggles these children families face. In Homeless people are synthetic drugs’ latest victims, we look at the dangerous trend of the synthetic drug industry. Cheap, easy to get and full of often poisonous ingredients, these drugs are turning people on the streets into zombies. The story, Homeless Should Be Protected by Hate Crimes Laws, looks at the legislature that often work against the homeless and not for them. Unlike Florida, many states don’t have the homeless protected under the hate crimes laws. Check out our latest paper for these stories and more.